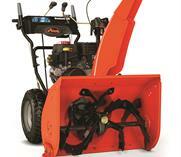 Ariens® DELUXE 28 Sno-Thro® - Marina Inc. 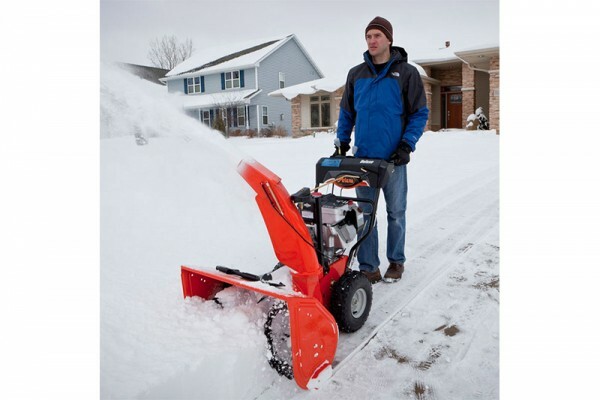 When Mother Nature sends down 16 inches, depend on our Deluxe snowblowers to send it flying up to 50 feet away. This no-nonsense machine means business. It’s geared up and prepared to clear out with a 14-inch, 3-blade, high-speed impeller, built to get you back inside faster than you can spell “accumulation”.